A Cannabis Cure For Alzheimer’s Disease? Researchers have discovered tetrahydrocannabinol (THC) – the psychoactive compound in marijuana – can promote the removal of a toxic protein associated with Alzheimer’s disease. As our population ages and increases, so to do age-related conditions such as dementia. The most common form of dementia is Alzheimer’s, which accounts for up to 70% of cases. According to Alzheimer’s Australia, there are currently more than 353,800 Australians living with dementia. 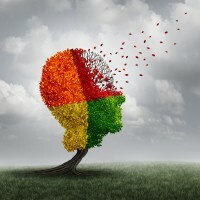 Short of some type of breakthrough, the number of dementia sufferers is expected to skyrocket to almost 900,000 by 2050. By the 2060s, spending on dementia is projected to be $83 billion (in 2006-07 dollars). As an Alzheimer’s “epidemic” is expected in Australia and elsewhere in the decades ahead, finding suitable treatments is becoming a more pressing issue. As with many other serious conditions, it appears cannabis could provide a treatment. Preliminary lab studies by scientists at the Salk Institute in California have found THC reduces beta amyloid proteins in human neurons. The finding is significant as it’s been well established amyloid beta accumulates within the nerve cells of the aging brain before symptoms of Alzheimer’s disease appears. However, while amyloid beta makes up a major part of the plaque deposits that accompany Alzheimer’s, the impacts of these deposits in the disease process remains unclear. To date, there have been no drugs developed that significantly inhibit cell death associated with Alzheimer’s, Parkinson’s or Huntington’s diseases; so the results of this study are very important. “Although other studies have offered evidence that cannabinoids might be neuroprotective against the symptoms of Alzheimer’s, we believe our study is the first to demonstrate that cannabinoids affect both inflammation and amyloid beta accumulation in nerve cells,” stated Professor David Schubert, lead author of a paper on the findings. It was the study of an Alzheimer’s drug candidate called J147 that led the scientists to discover that endocannabinoids, chemical compounds synthesized in the human body that activate the same receptors as those occurring in cannabis, are involved in the removal of amyloid beta and the reduction of inflammation. The Salk team’s paper has been published in the journal Aging and Mechanisms of Disease. Also recently, researchers from Tel-Aviv University’s Abarbanel Mental Health Center have discovered the use of medical marijuana could improve the lives of Alzheimer’s patients.